Cheap plumbers, is there such a thing? This article is going to tell five reasons why people choose a cheap plumber. 1) Water is leaking or flooding. Toilets don’t flush. Water heater not heating. tub doesn’t drain. High water bill. These are some of the reasons why people call a plumber. The first thing people do is call a plumber, any plumber, who can get there fast, take care of the problem, and charge a reasonable fee. It would have been better to already have a working relationship with a reputable plumbing firm that you already trusted. When the phone call comes, customers who aren’t familiar with our companies level of service, professionalism, expertise in our trade will almost always ask how much will it cost. A plumbing problem cannot be properly diagnosed over the phone. The cheap plumber or the handyman may quote pricing over the phone, however when they get to your house the price goes much higher. Wouldn’t it be much better to have a licensed professional plumber come to your house, evaluate your situation, because all plumbing problems are different, and give you an estimate and recommendations for what needs to be done? Then you can decide based on the level of professionalism, honest answers, different options you may have and the level of service you are receiving to base if the price is related to the value and piece of mind that the plumbing company you choose is your best return on your investment. 2) Price. This a a very sensitive subject today. Everyone wants a low price until they see a doctor. Then they don’t ask price, they just want to be taken care of in their emergency by the best person available. Same way in plumbing. Plumbing a lot of times, is an emergency and an unexpected expense. 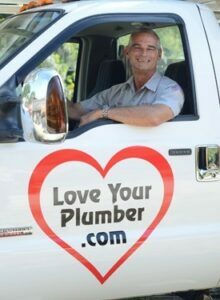 You want to have the best professional available, with the most expertise in the trade, a fully stocked plumbing truck at your house, a licensed and insured company doing the work that shows up promptly to take care of your problem and just make your plumbing problem go away, so your life can get back to normal. Can the cheapest guy do this? Usually not. 3) Price. Did the cheap guy return your call promptly or not call you back at all? Was he helpful on the phone? Can he get there quickly? 4) Price. Is the cheap guy licensed and insured? The state of Florida makes master plumbers go through an intensive testing program before they issue a state certified master plumbing license to just any one. Is your cheap guy state certified? 5) Price. Is your cheap guy insured? Wouldn’t you want his insurance company to pay for any damage that he may cause because he wasn’t a licensed plumber and something he patched burst after he left? Wimpy’s Dependable Plumbing, Inc., is a Florida State certified plumbing company in Sarasota. We have been in business 40 years and serve the Lakewood Ranch area, Sarasota, Bradenton, Siesta and Longboat Key. We will give you honest estimates. We are Sarasota’s Plumber when you want a plumber in Sarasota, Call Wimpy’s.